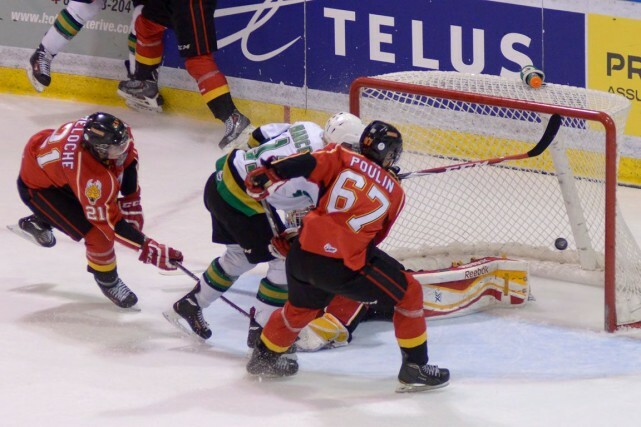 Tuesday’s wild overtime win for the Val-d’Or Foreurs in Game 7 to erase a 3-0 deficit against the Baie-Comeau Drakkar was the perfect conclusion to the second round of the CHL playoffs. It was easily the best series of the bunch (with apologies to the Halifax/Moncton affair) and it set the stage for a semi-final round that features some incredible matchups. As ever, we start with out farewells to the teams that are now out of the post-season, starting with the Ontario Hockey League. What I Predicted: For me, this is easily the best team in the Eastern Conference. It’s a long way to go until the OHL finals, but I expect this team to be there when May rolls around. What Actually Happened: A terrible start to the season brought an end to that theory pretty quickly, in addition to Oshawa’s strong play. However, Niagara was a much better side in the second half as Brendan Perlini returned from injury to join newly acquired forward Josh Ho-Sang and the defence was a lot stronger. 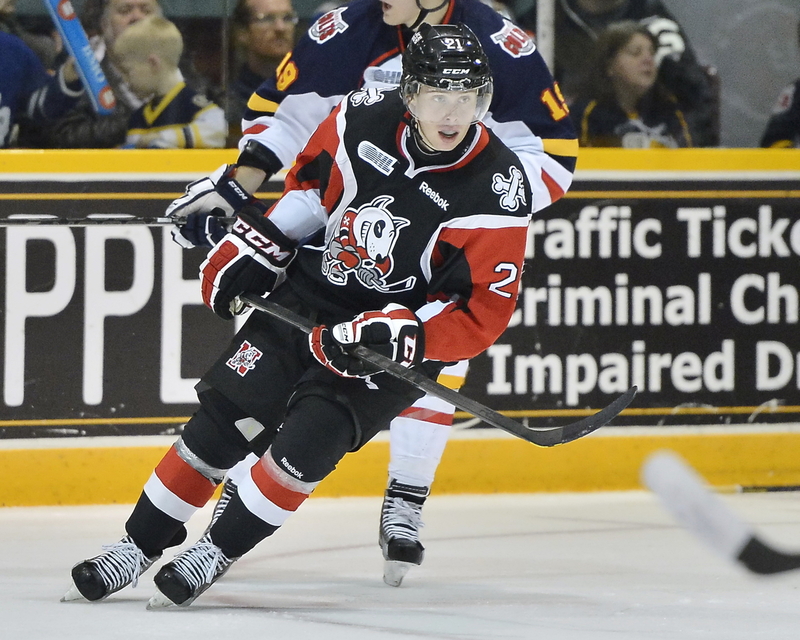 What Lies Ahead: I’m starting to think that I was a year early on the IceDogs. The entire defence will be coming back next season and both Ho-Sang and Perlini will be coming back to lead the way up front. The one question mark remains in goal though, as Brent Moran struggled early on as was replaced by Brandon Hope. With Hope graduating from the league, the Dallas Stars prospect will need to prove that he’s ready to become a full-time starter. What I Predicted: I expected the Storm to go into a rebuild after winning the title last season, but I’m starting to think that won’t happen until next year. What Actually Happened: Exactly that, as the only big player that the Storm dealt away was defenceman Ben Harpur to the Barrie Colts. Guelph was a strong side and could have been a third seed as London struggled down the stretch. However, given the depth of both the Otters and Greyhounds, a second round exit was probably a fair result. What Lies Ahead: As mentioned earlier, this is where the rebuild officially starts. 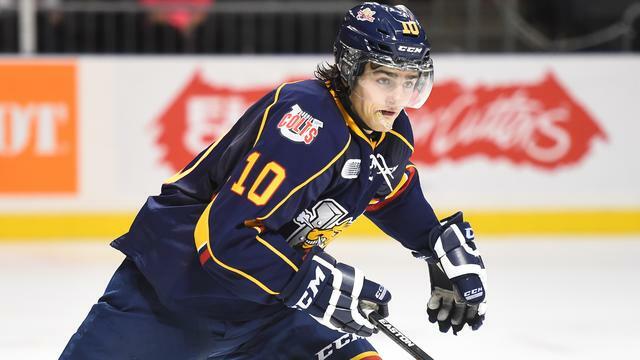 Robby Fabbri and Justin Nichols are the two key players that are still left from the 2014 OHL champions, and I expect both of them will be dealt during next season in order to build the roster back up. What I Predicted: It’s a transition year for the Knights, but they still shouldn’t be taken lightly, even if their goaltending leaves a lot to be desired. What Actually Happened: The goaltending wasn’t a disaster and despite losing both Bo Horvat and Nikita Zadorov to the NHL, the Knights were still a strong side. A lot of that had to do with the play of Max Domi, Mitch Marner and Christian Dvorak, who all had over 100 points this season. What Lies Ahead: Domi is heading to the Arizona Coyotes next year, which brings an official end to an era that saw the Knights go to three Memorial Cups. 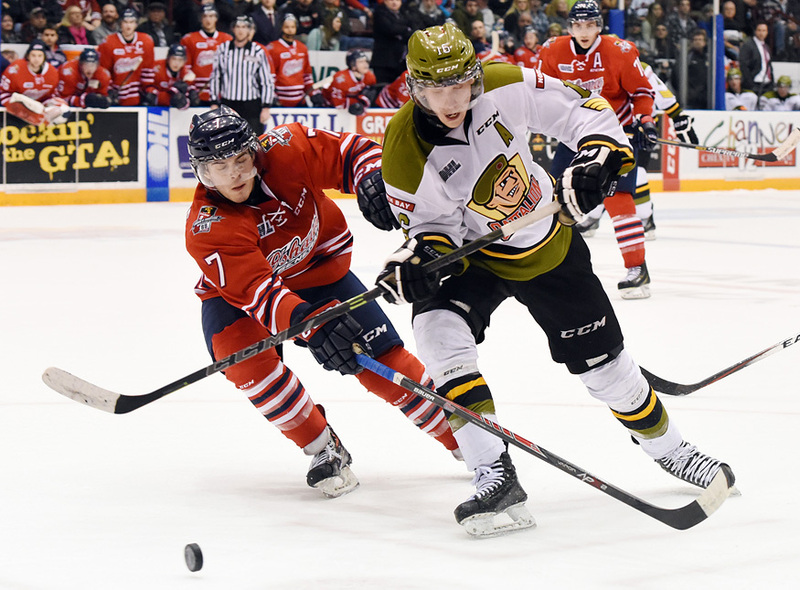 There’s a few holes left to be filled on the Knights for next season, but if they are able to bring the Tkachuk brothers (Matthew and Brady), 2014 first round pick Max Jones or current Michigan defenceman Zach Werenski, London might become the favourite to win the Western Conference. What I Predicted: With Aaron Ekblad seemingly set to begin his pro career, it makes sense to expect a drop-off from the Colts. However, they still have a number of decent forwards on the roster, which should be enough to put them in the mix to be a home seed in the first round of the playoffs. 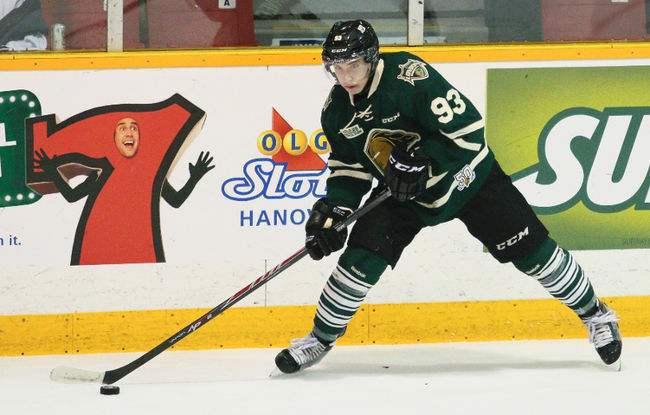 What Actually Happened: Like the London Knights, the Colts had three players with over 100 points in Joseph Blandisi, Kevin Labanc and Andrew Mangiapane. However, for the second straight season, they were unable to solve the Batallion and had their campaign come to an early end. 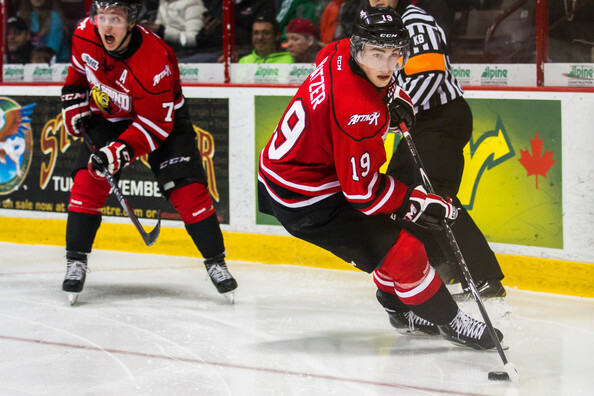 What Lies Ahead: Blandisi is graduating from the OHL and Labanc may follow him, so there will be big holes left up front. Some younger talent will becoming into the squad, but they will still be a top team in the Eastern Conference with Mangiapane, Brendan Lemieux and Mackenzie Blackwood all returning. With apologies to the Oshawa and North Bay series, the Western Conference final between Sault Ste. 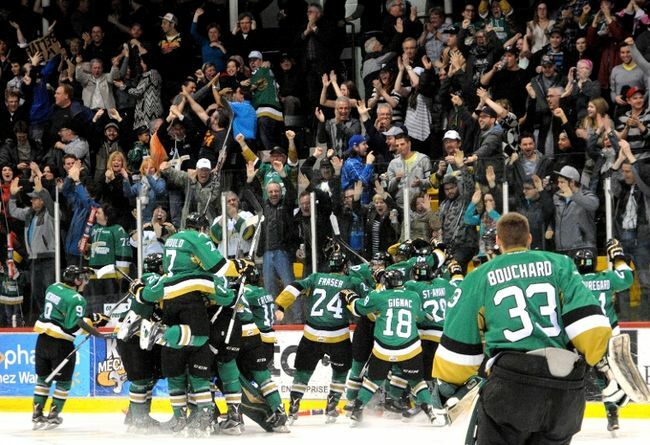 Marie and Erie has a chance to become my all time favourite playoff series in OHL history, a title that currently belongs to the 2009 affair between London and Windsor. For those that may not remember that series, here’s a brief refresher. Like the Greyhounds and Otters, Windsor and London were the class of their conference with 115 and 101 points each. Belleville and Brampton were both strong teams in the Eastern Conference and ended up playing for a spot in the final themselves, but this is the matchup everyone wanted to see. I mean, just look at what each team had for a roster. Michael Del Zotto and John Carlson led the way for London on the back end while Zac Rinaldo and Nazem Kadri were among the top players up front, along with some fellow by the name of John Tavares. Windsor’s lineup wasn’t even more loaded with Ryan Ellis, Taylor Hall, Adam Henrique, Eric Wellwood, Greg Nemisz and Andrei Loktionov all among the key contributors. Sure Trevor Cann vs. Josh Unice isn’t a pulse-pounding goaltending matchup but they were both good junior netminders. The series itself only went five games, but every game was an end to end affair that went to overtime. Both teams split the first two games with Ellis and Phil Varone getting game winners, before the Spitfires won three straight contests thanks to the heroics of Wellwood, Loktionov and Wellwood again in Game 5. That last game also introduced me to my favourite junior hockey announcer Mike Stubbs, who I was convinced was going to have a heart attack as both teams flew around the ice. As I wrote on Twitter a couple of weeks ago, if Erie and the Soo come anywhere close to this series, I’ll be dead by Game 3. Now that we got the big one out of the way, let’s move on to the QMJHL. What I Predicted: For me, this is the clear-cut favourite to win the West Division title. They aren’t on the same level as the elite teams in the league, but Gatineau should be a legit threat to make the semi-finals. 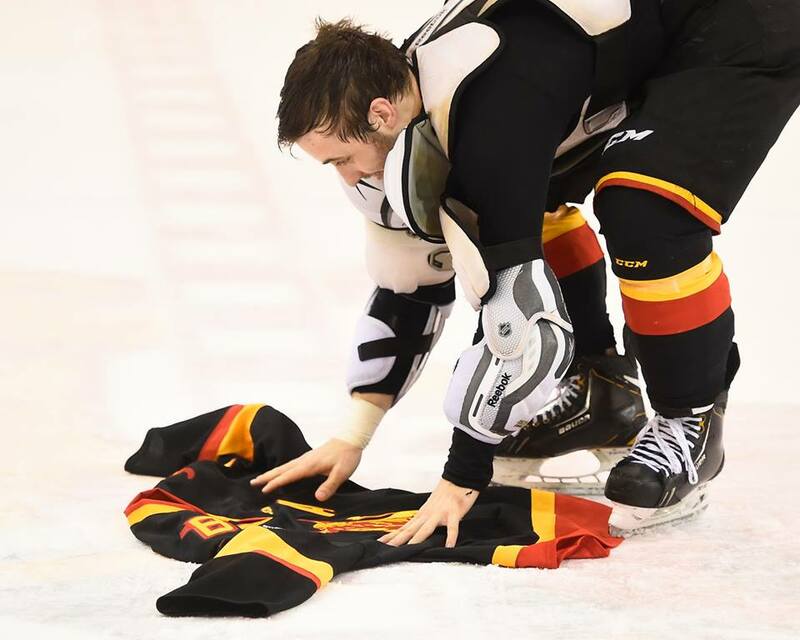 What Actually Happened: Gatineau had to claw their way into the playoffs. 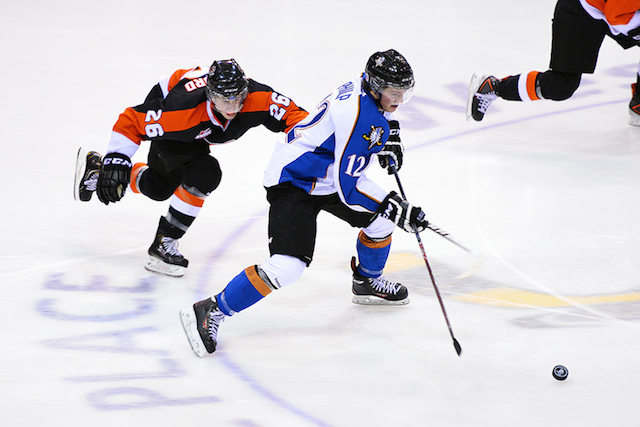 However, they were red-hot in the final months of the season and knocked off the third ranked Armada before losing to Rimouski. What Lies Ahead: World Junior gold medal winning head coach Benoit Groulx is off to a new gig elsewhere, so that will be the biggest change for next season. As for the team itself, they some interesting players to build around like Alex Dostie and Yakov Trenin, but I suspect they will end up around the same spot in the standings. What I Predicted: Zach Fucale is still there, and Nikolaj Ehlers is back for a second season after being drafted by Winnipeg, but it’s a massive drop-off from where they were in the past. A new era may officially start in Halifax sooner rather than later. What Actually Happened: Fucale was dealt to the Quebec Remparts but Ehlers was still around and was a man amongst boys throughout the regular season and the playoffs. 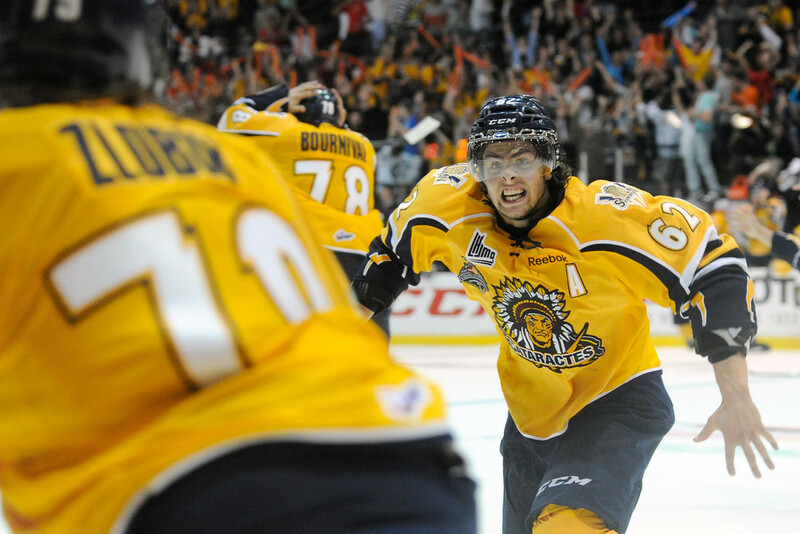 They upset Shawinigan in a great seven-game series and almost pulled off another surprise in the semis against Moncton. What Lies Ahead: Ehlers got called up to the Jets for their Game 4 loss to Anaheim and I expect he will be in the NHL come next fall. 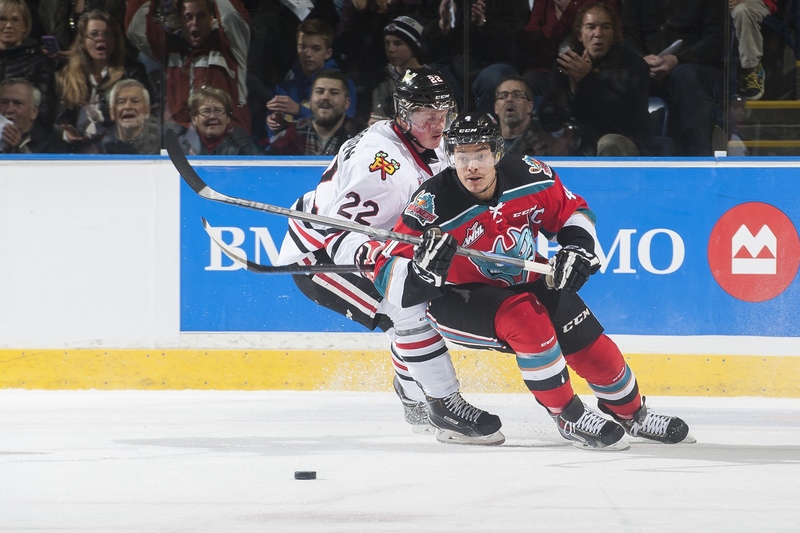 Timo Meier is still around but that’s about it, and that could mean a long season for the 2013 Memorial Cup champions. 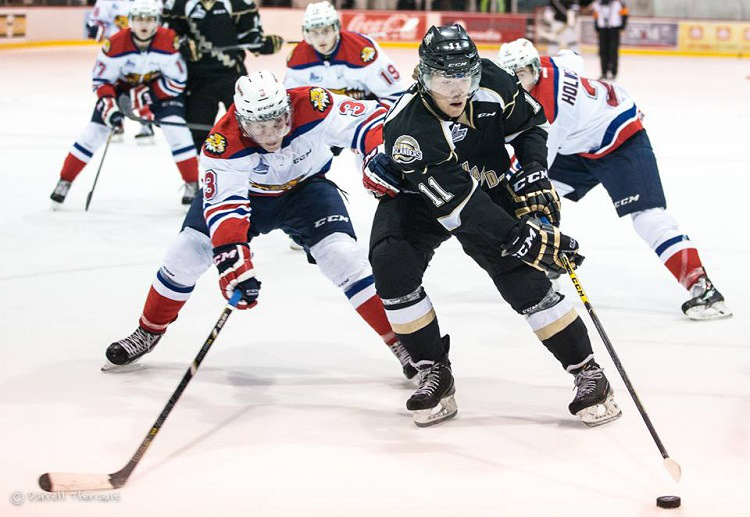 What I Predicted: After a youth movement of sorts in the second half of last season, and with Mason McDonald and Daniel Sprong leading the way, Charlottetown should be a lot better this year. What Actually Happened: Exactly that as the Islanders made their way to the second round of the playoffs, despite losing their top netminder McDonald to an injury in the first round against Sherbrooke. Had he not gone on the shelf, they probably would have given the Memorial Cup hosts a tougher challenge. 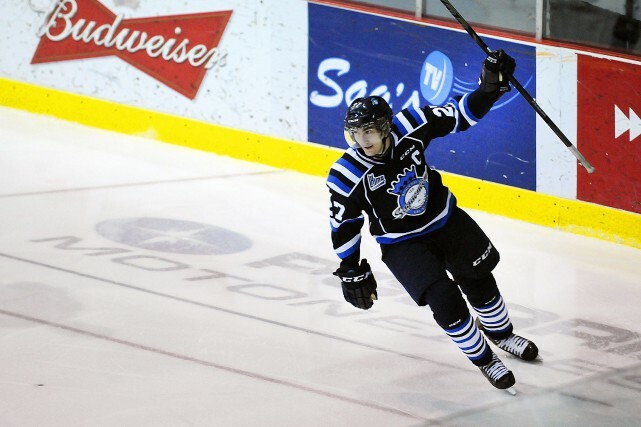 What Lies Ahead: With almost everyone coming back next year, this team might be a legit threat to win the QMJHL title. They might need to strengthen the defence a little bit, but I expect them to solve that during the summer via trades. What I Predicted: With head coach Eric Veilleux moving on to the AHL’s Norfolk Admirals and the possible hangover of losing two straight league finals, the Drakkar may fall down to earth a little bit this year. What Actually Happened: They weren’t as strong as they were in 2014 but Baie-Comeau still had a pretty good season, well at least until they blew a 3-0 series lead to Val-d’Or, which had to be just as upsetting for the players that lost the finals to them last year. 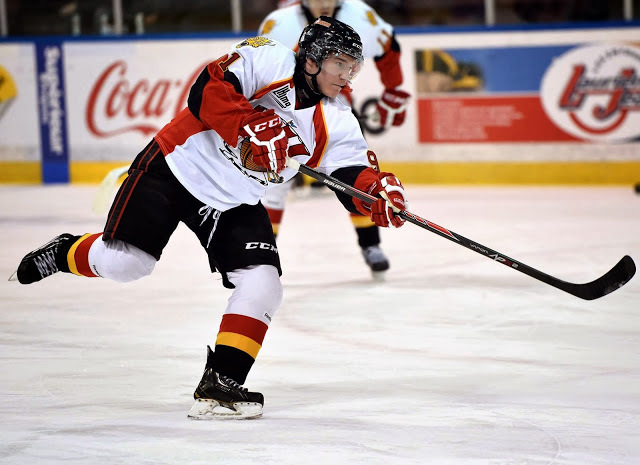 What Lies Ahead: The Drakkar will return quite a few players next year, especially on defence as almost everyone can come back. As a result, I expect them to have home ice advantage for their first round series, but it’s still to early to say where exactly they will end up in the grand scheme of things. 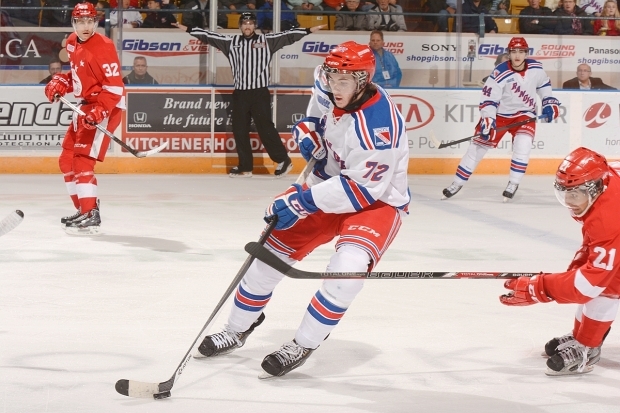 Now why the heck is there a photo of the 2012 Memorial Cup champions in this blog post you ask? Well it’s because Shawinigan is the last tournament hosts to win the Memorial Cup and the Quebec Remparts are looking good in their quest to accomplish that same goal, as they became the first host team since 2011 to make their league semi. With the debate still raging about the purposes of a host team, and the rumours of Sportsnet wanting to change the event into a March Madness/Frozen Four type of tournament, I decided to take a look at how the tournament hosts have done in their league playoffs and in the event itself since the Memorial Cup went to four teams in 1983. As ever, our final stop is the Western Hockey League, which saw one of their division winners fail to make it to the conference finals. What I Predicted: They aren’t as loaded as Kelowna, but Victoria should have another strong campaign after a season that saw Dave Lowry win coach of the year honours. What Actually Happened: They were nowhere close to the Rockets in the division race but the Royals did have another solid campaign. The gap between Kelowna and Victoria was clear to see though in the divisional final, despite an impressive Game 4 comeback. 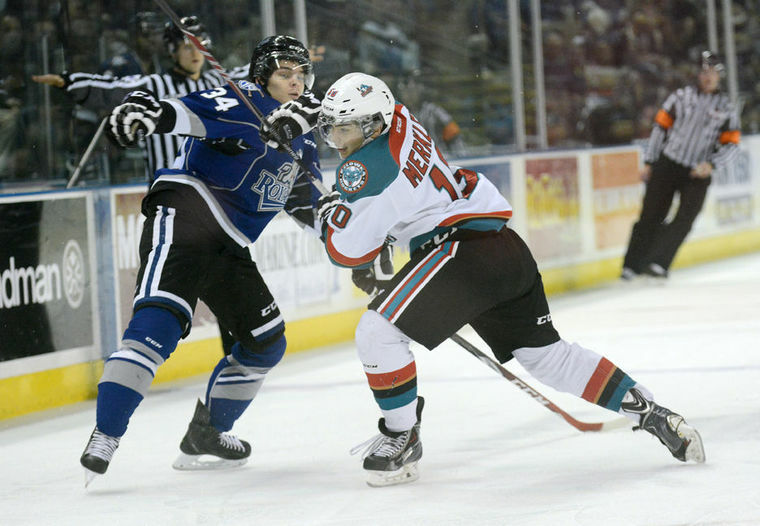 What Lies Ahead: With Joe Hicketts, Tyler Soy and Jack Walker all coming back, the Royals will probably be a strong contender to win the Western Conference next year. Just don’t ask me who’s going to be the starting goalie as of yet. What I Predicted: I’m not totally convinced about the Pats’ defence, and I still think Morgan Klimchuk will be dealt before the trade deadline. But the Sam Steel hype train is currently going out of control, so I might as well jump on board and have the Pats as a playoff team. What Actually Happened: Klimchuk was dealt to Brandon of all teams at the trade deadline, along with other key components of the roster, as the Pats are now building around Steel. They made the playoffs with ease and challenged Brandon throughout the division final despite being short-staffed. What Lies Ahead: This is Steel’s team and the talented rookie should have a monster season ahead of the 2016 NHL Draft. They aren’t on the same level as Brandon yet, but a young forward core that includes Jesse Gabrielle and incoming rookie Jake Leschyshyn will be tough to deal with. 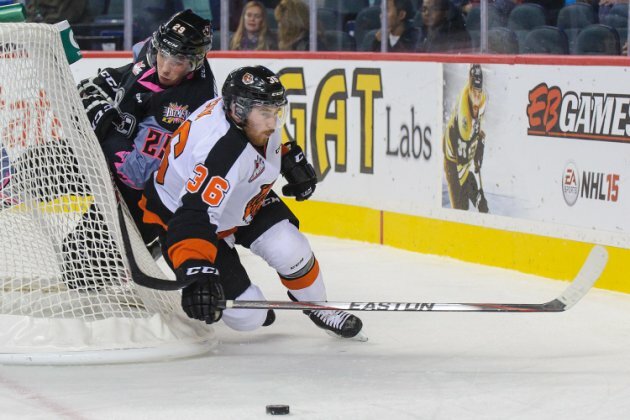 What I Predicted: The final year for the Tigers in the Medicine Hat Arena should be another good one, as I think this is a pretty solid team from top to bottom. 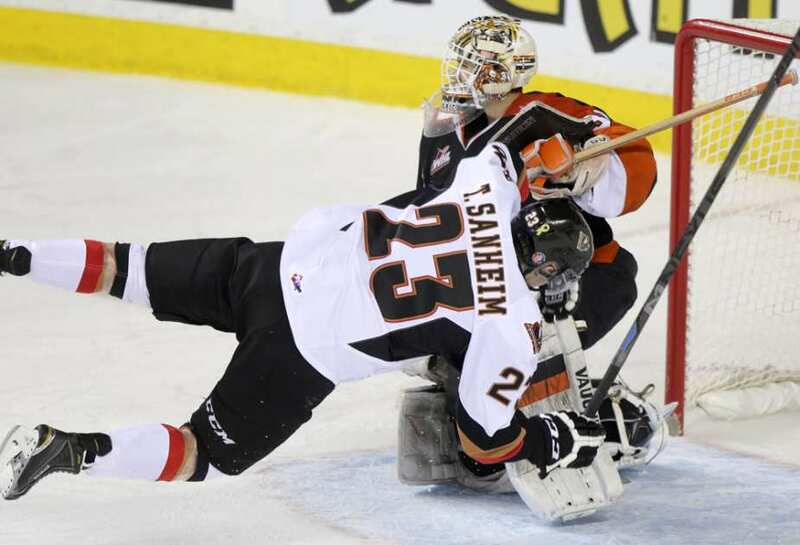 What Actually Happened: The return of import overage goaltender Marek Langhamer played a huge part in the Tigers success as they were one point behind the Hitmen for the division. They probably deserved a better fate than a five-game loss in the second round, but that’s how playoff hockey goes. What Lies Ahead: In addition to moving to a new arena, this will be a different looking squad come next fall. Langhamer, Tyler Lewington, Kyle Burroughs and Tommy Vanelli are all gone, and it’s highly unlikely that the scoring trio of Trevor Cox, Dryden Hunt and Cole Sanford will be back. With that said, the Tigers haven’t missed the playoffs since 2002 and I don’t expect that streak to end any time soon. What I Predicted: If Mirco Mueller ends up staying with the Sharks, the Silvertips might be in tough, but given how the other teams look near the bottom of the Western Conference, I think they should be in good enough shape to make it to the post-season as a wildcard team. 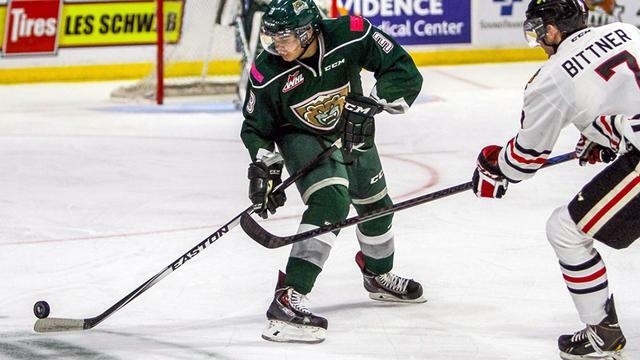 What Actually Happened: Mueller went to the pros but the Silvertips were able to bring in Montreal prospect Nikita Scherbak at the start of the season. They won the US Division over a red-hot Winterhawks squad and I’m still at a loss for words as to how they pulled that off. 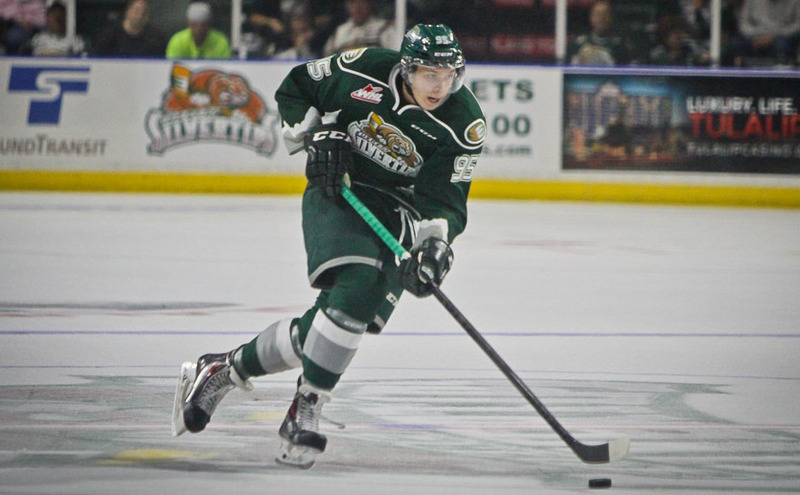 What Lies Ahead: Scherbak is gone but the Silvertips will retain a lot of the players that made this year a good one, including goaltender Carter Hart who was outstanding in the playoffs. At the moment, it looks like they will be fighting it out with Seattle for the division title. So with three out of the four division champions now fighting for a spot in the WHL final, you could say that the new playoff format did it’s job as the league now has the same model as the NHL. When it comes to the overall series so far though? Not so much. Now there was a seven-game affair between Calgary and Kootenay, and both US Division semis (Everett/Spokane and Portland/Seattle) were solid six game series, but it felt like we were going through the motions just to get to this point. Would that have been the case under the old setup? Well let’s take a quick gander at the Eastern Conference. 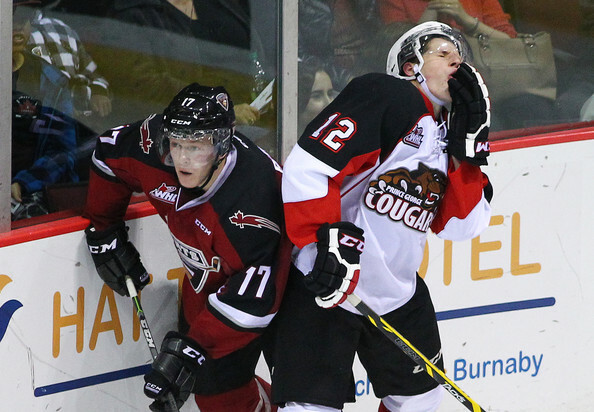 1) Brandon vs. 8) Swift Current: This would have been over in short order. 2) Calgary vs. 7) Edmonton: It’s Calgary vs. Edmonton, anything can happen, but Calgary would have probably escaped. 3) Regina vs. 6) Kootenay: Given the way that Kootenay played against Calgary they may have pulled an upset off here. 4) Medicine Hat vs. 5) Red Deer: These two played each other and the Tigers won in five games in what was a close series. So that would have left us with Brandon vs. Kootenay and Calgary vs. Medicine Hat, and we would probably have the Wheat Kings and Tigers anyways. What say you Western Conference? 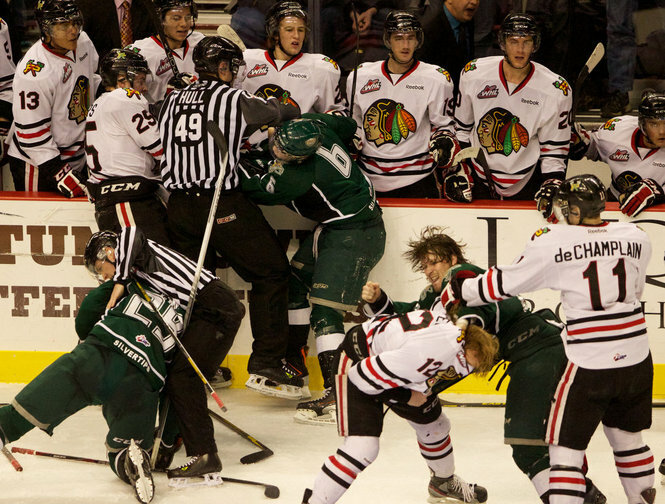 1) Kelowna vs. 8) Tri-City: This happened and it was a four game sweep. 4) Seattle vs. 5) Victoria: Another really good matchup here that could have gone either way. I probably would have gone with Seattle though. So that would have left us with Kelowna vs. Seattle and Everett vs. Portland and again the same matchup would have happened. Maybe the WHL was right after all. Either way, I still want a 1 vs. 16 format. Kelowna would have come to Moose Jaw this year! That does it for now. See you all in a couple of weeks time for the OHL, QMJHL and WHL finals. 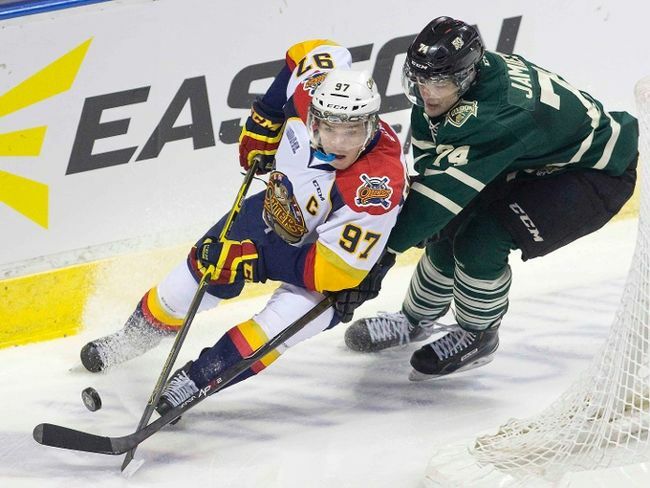 From the emotional farewell to the Belleville Bulls to some wild series in the QMJHL, the first round of the 2015 playoffs in the Canadian Hockey League have been intriguing, and the matchups in the second rounds in all three leagues may be even better. As everything gets underway tonight as Sault Ste. Marie takes on Guelph, it’s time once again to take a look back at the teams that were knocked out of the playoffs already and attempt to predict what will happen in the coming weeks. Let’s begin, as always, in the OHL. 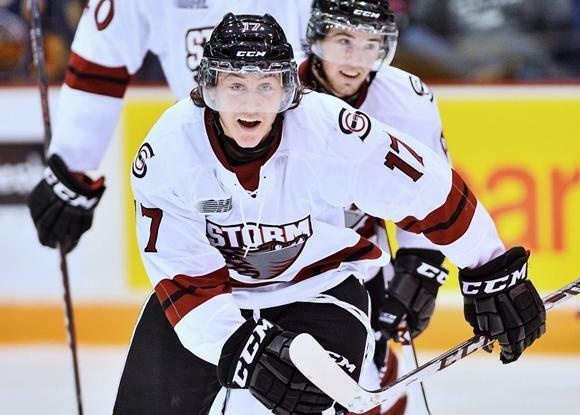 What I Predicted: Following last season’s comeback from 3-0 down in the first round against Kingston, I expect the Petes to build on that momentum to make a second straight trip to the post-season. What Actually Happened: Even though they traded Nick Ritchie at the deadline the Petes made it to the playoffs again. Even though they lost in five games, they still fared well against the top ranked team in the Eastern Conference. What Lies Ahead: The forwards aren’t really stellar, but the back-end is very strong with Kyle Jenkins and Matt Spencer on defence and Matthew Mancina in goal. They won’t be a title threat by any means, but the Petes may be in the mix for a home-ice spot if the cards fall right next year. What I Predicted: If the youngsters get up to speed quickly, this might be a playoff team. If that doesn’t happen though, the rebuilding process in Saginaw may officially begin at the Trade Deadline. What Actually Happened: A combination of both things actually. The Spirit traded away Jimmy Lodge, Nick Moutrey and Jake Paterson, but their young players filled in the gaps and they made it to the playoffs. What Lies Ahead: The Spirit were the youngest team in OHL history to make it to the post-season and that should set the stage for a strong campaign next year. 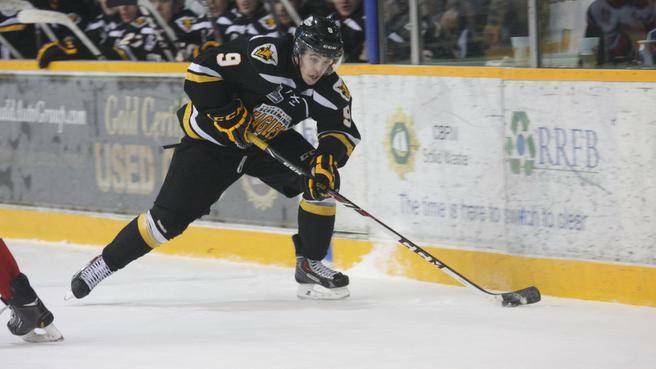 Dylan Sadowy, Mitchell Stephens and Tye Felhaber will lead the way up front and goaltender Evan Cormier may prove to be a huge pick-up from the trade with North Bay for Moutrey. What I Predicted: Even though the Bulls struggled last year, they have a decent core of guys coming back, and they should be able to bounce back into the playoffs this season. What Actually Happened: The Bulls started off well but faded and almost missed out on the playoffs. The move to Hamilton overshadowed everything in the end however and it was a shame to see them be swept out by Barrie. What Lies Ahead: The Bulls are headed to the white elephant that is Copps Coliseum (or whatever they call it these days) to become the Hamilton Bulldogs. While everyone is debating what the fan support will be like, the Bulldogs should have a pretty solid team in their first year in Hamilton. It’s a pretty solid roster with some solid young players like Justin Lemcke and Brandon Saiegon, and they may be in the mix for a home playoff spot. 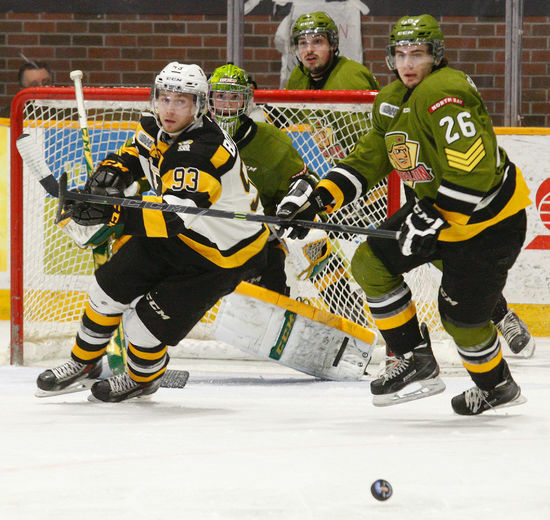 What I Predicted: They won’t be as bad as they were last year, but I suspect it will be another long season in Sarnia, with a few bright spots along the way courtesy of the top players. What Actually Happened: Well it certainly wasn’t a long year. They traded Anthony DeAngelo and Nikolai Goldobin never came back but they saw a new star develop in Jakob Chyrchurn while Pavel Zacha and Nikita Korostelev led the way up front. They ended up second in a surprisingly lacklustre West Division and they pushed the Erie Otters to the limit in their first round series. 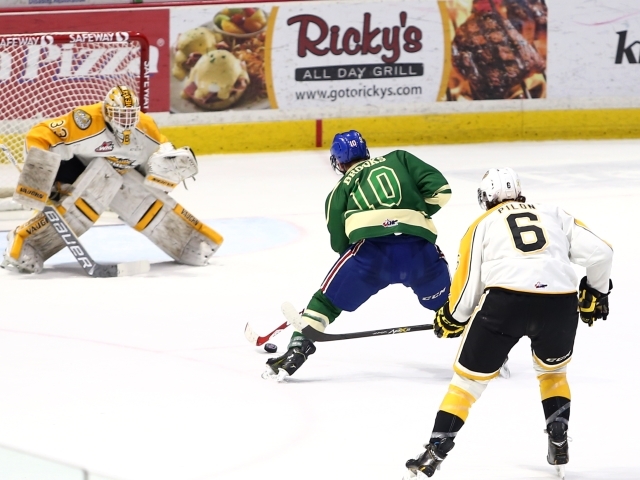 What Lies Ahead: Sarnia made a surprising move on Tuesday as head coach Trevor Letowski was let go and co-owner Derian Hatcher became the new bench boss. It remains to be seen how that will go but right now the Sting look to have a solid young core to build around. The one question mark might be in goal though as Taylor Dupuis has graduated from the junior ranks. What I Predicted: The forward core is arguably the best in the Eastern Conference (especially if Sam Bennett doesn’t stick in Calgary), and the defence looks pretty solid, but I have some major question marks about the goaltending. What Actually Happened: Lucas Pressini proved me wrong in goal and the forwards weren’t super impressive until late in the year when Bennett came back from a lengthy injury. 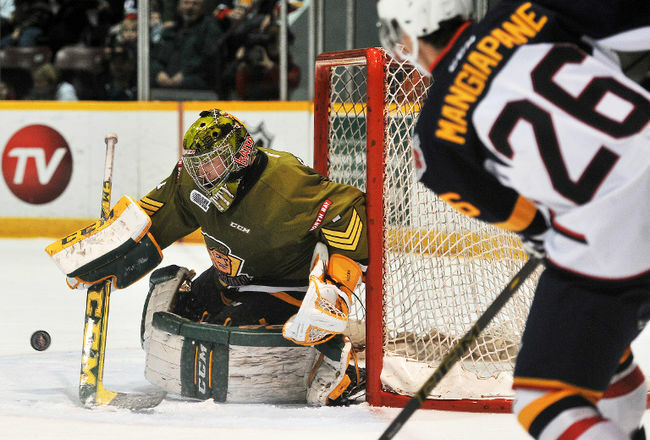 It didn’t matter in the end though as the Frontenacs had another underwhelming playoff run. What Lies Ahead: The Fronts are in an odd place. I’ll touch on Sam Bennett later on but they still have guys like Lawson Crouse and Roland McKeown around, but their defensive depth worries me a lot. It’s hard to give them an early ranking until after the summer trade season ends. What I Predicted: The Rangers should be better than they were a year ago, but they aren’t quite back to a legit Western Conference contender just yet. What Actually Happened: Getting Jake Paterson was a surprise at the deadline and the Rangers were in the mix for fourth place for a time. However, thanks to Guelph and Owen Sound’s strong finishes, they ended up facing London and saw their season end early. What Lies Ahead: With a number of 96-born players on forward and defence the Rangers will look to have a big run next season. However, I doubt they will be leaning on Dawson Carty in goal so I suspect that they will either make a trade or bring in one of the three NCAA committed goalies (Chris Birdsall, Hayden Lavigne or Luke Opilka) that they have drafted in the past couple of years. What I Predicted: I like the majority of the lineup, especially the NHL prospects that they have, but I’m not convinced that a goaltending pairing of Brandon Hope and Jack Flinn is enough to lead you to the promised land. What Actually Happened: Brandon Hope got dealt to Niagara early on while both Jack Flinn and Michael McNiven did well in between the pipes. Being stuck in what was arguably the best division in all of the CHL didn’t do them any favours come playoff time though. What Lies Ahead: I would suspect the Attack are going to drop off quite a bit next year, especially with Zach Nastasiuk, Kyle Platzer and Chris Bigras all moving on. Don’t be surprised if they move off some of their 96’s in order to build for the future in the next couple of months. What I Predicted: I’m not quite convinced yet on the goaltending and the overall depth of the roster. With that said, I wouldn’t be surprised if they beat out Mississauga for the eighth and final playoff spot. What Actually Happened: Liam Herbst showed why he was a first round pick by London a few years ago in goal and the play of Dante Salituro and Travis Konecny helped Ottawa earn home ice for the first round. Even though they lost to Niagara, first year bench boss Jeff Brown did an excellent job. What Lies Ahead: With Herbst, Salituro and Konecny all back, the 67’s should have another good season. They do have five 95-born defenders on the roster though, so that might be a worrying issue in the weeks ahead. 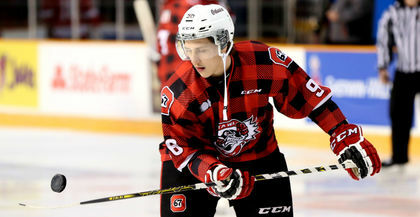 Before I make my second round predictions, let’s return to Sam Bennett, who may be the most intriguing question mark heading in the 2015/16 OHL season. A brief recap on the 18-year-old’s year first. 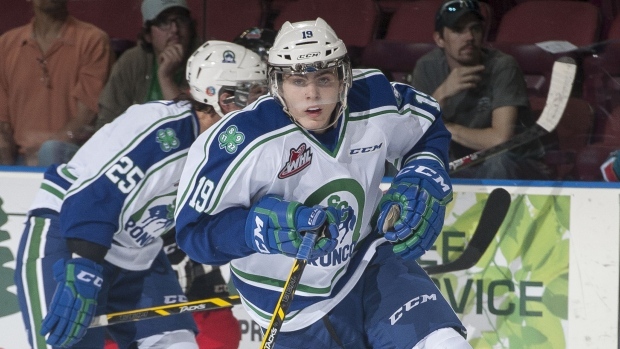 After being selected 4th overall by the Calgary Flames in June, Bennett suffered a shoulder injury that required surgery and forced him to the sidelines until February. 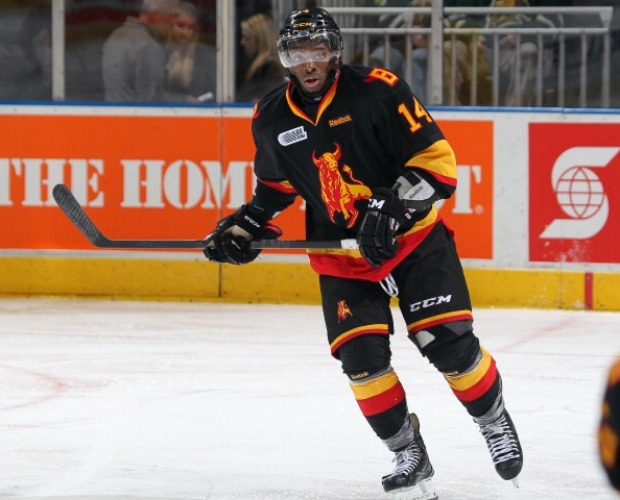 When he was healthy, he returned to Kingston and put up a staggering 24 points in 11 games, though he was held to just three points in the series sweep by North Bay. As he currently awaits to make his NHL debut with the Flames, it remains to be seen if Bennett will stick around in the show next fall or return to the OHL. If he does come back to Kingston, I wouldn’t be surprised if he’s dealt straight away to a contender like Leon Draisaitl was when Edmonton sent him back to the WHL. It’s a move that may work out well for Kingston as well as they need to load up on picks and players to build their roster up for the next couple of seasons. I mean, Lawson Crouse isn’t going to be around for much longer as well. 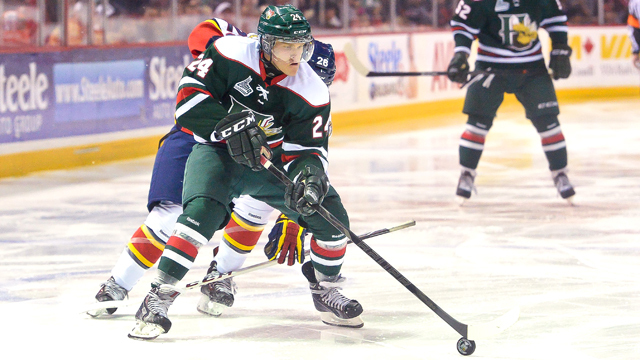 Next up is the QMJHL, where a couple of highly ranked teams saw their seasons come to an end rather early. What I Predicted: I have them fifth in their division, but that may end up being way too low to where they end up when March rolls around. What Actually Happened: My original assumption ended up being much closer to reality. Having to deal with Rimouski, Quebec and Shawinigan in their division probably had them lower in the standings than they would have hoped. What Lies Ahead: I would suspect another similar campaign next year, though they probably won’t be at the bottom of the playoff race. There’s a few young pieces to build around here, and Samuel Blais might be a nice deadline day piece to deal to a title contender. What I Predicted: It’s a bit of a bummer that Chicoutimi is in the same division as Quebec and Rimouski, because this is quite a good team. What Actually Happened: Okay I was slightly wrong on that front, Julio Billia was better in goal and the forwards weren’t that bad, but this was a team that ended up being more a middle of the road squad than a sleeper for a lengthy playoff run. 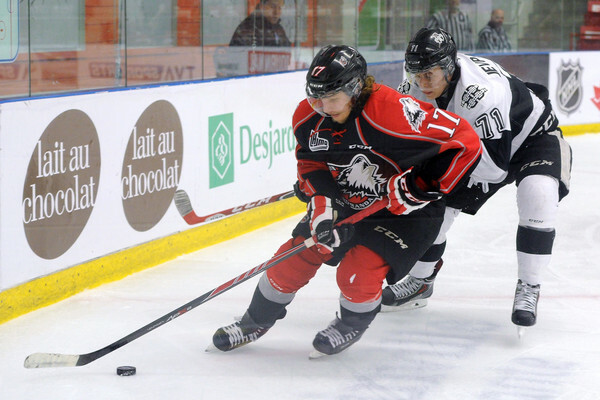 What Lies Ahead: With Nicolas Roy and Frederic Allard both coming back for two more years at least, Chicoutimi will be looking to go on a run in the next couple of seasons. They have a ton of 95’s on their roster right now, however, so you may see some movement to help out with that building process. What I Predicted: Okay, maybe I’m biased because they have two Russian forwards, but they should score a number of goals, and Francois Brassard could prove to be a great pickup in goal. 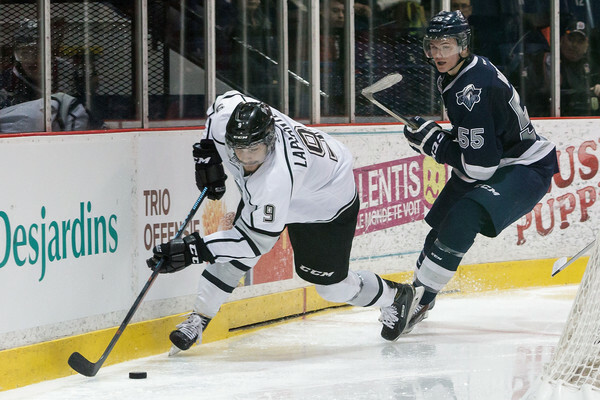 What Actually Happened: Brassard struggled in Cape Breton and ended up being dealt to Gatineau where he’s helped the Olympiques move on to the second round. Their forward core was strong though and they almost pulled off a stunning result in their series with Quebec as they pushed the Memorial Cup hosts to Game 7. What Lies Ahead: I’m not sure what they are doing in goal yet (hey look, another team that can benefit from an import netminder, thanks a lot Branch) but their defence looks solid and the Russian duo of Maxim Lazarev and Evgeny Svechnikov will both be back. This might be a team that contends for a division title in 2015/16. What I Predicted: I’m expecting the Huskies to be in the middle of the road again this year, though Alexander Belanger may help to steal a few games in between the pipes. 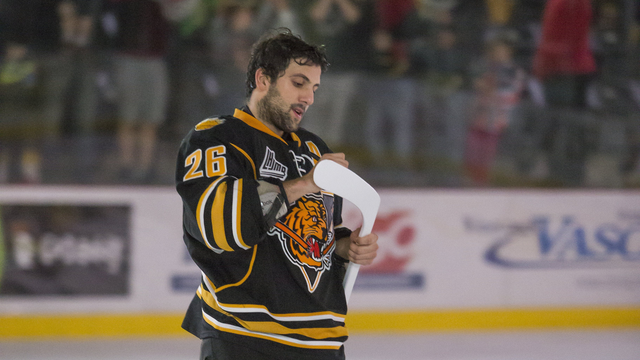 What Actually Happened: Well Belanger went to Cape Breton at the deadline, but the team was in the middle of the league standings. Part of that had to do with a strong forward core that was led by overage player Mathieu Lemay and Ottawa draft pick Francis Perron. 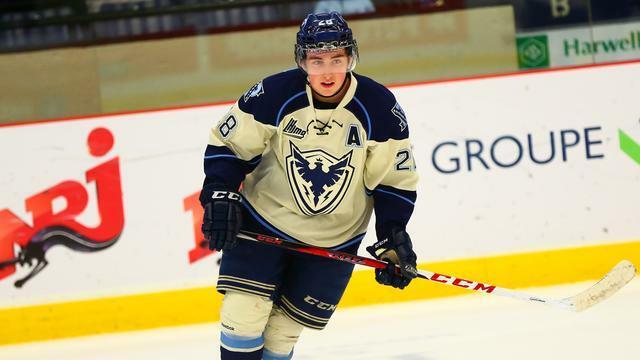 What Lies Ahead: Since the Huskies will have a lot of players coming back, this might be a sleeper pick to win the QMJHL title next year. The biggest thing that will have to happen though is that Jeremy Belisle and Samuel Harvey will both need to continue to improve in goal. What I Predicted: If Nathan Noel increases his scoring output from his rookie year and the newcomers gel, the Sea Dogs should return to the playoffs. What Actually Happened: Exactly that. There was a bit of a slide after a strong start but the Sea Dogs were a much improved side after having just 19 wins a year ago. 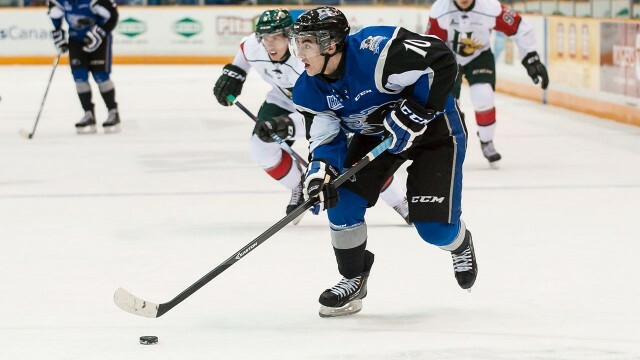 What Lies Ahead: With another high draft pick (they will be picking first overall after getting Drummondville’s first round choice in a trade) joining Noel and Luke Green, the Sea Dogs should have another strong season. Okay, I’m not sure about their goaltending either, but this is a team that is building towards a run for 2017, when they may host the Memorial Cup. What I Predicted: In it’s third year of existence, the Phoenix will finally turn the corner this season in my opinion. 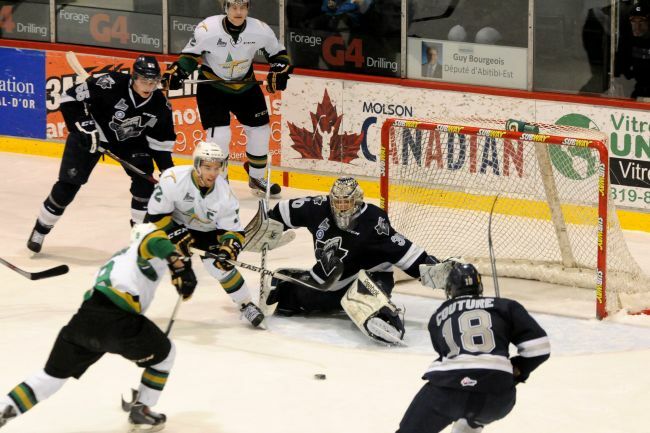 What Actually Happened: It was easily the best season so far for Sherbrooke. 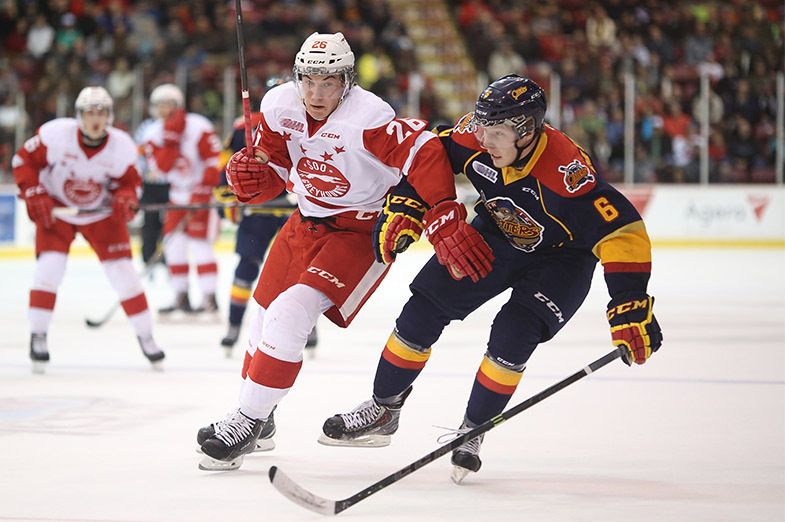 They had home ice for the playoffs and Daniel Audette continued his fine play up front. 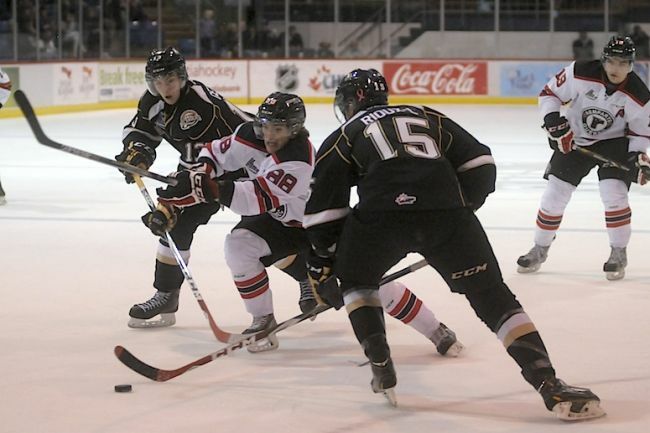 Alas, it didn’t mean much in the post-season as they lost a closely contested series with Charlottetown. What Lies Ahead: Audette will be back, as well high scoring defenceman Jeremy Roy and goaltenders Alex Bureau and Evan Fitzpatrick. The depth’s a slight concern but the Phoenix may improve yet again in their fourth campaign. 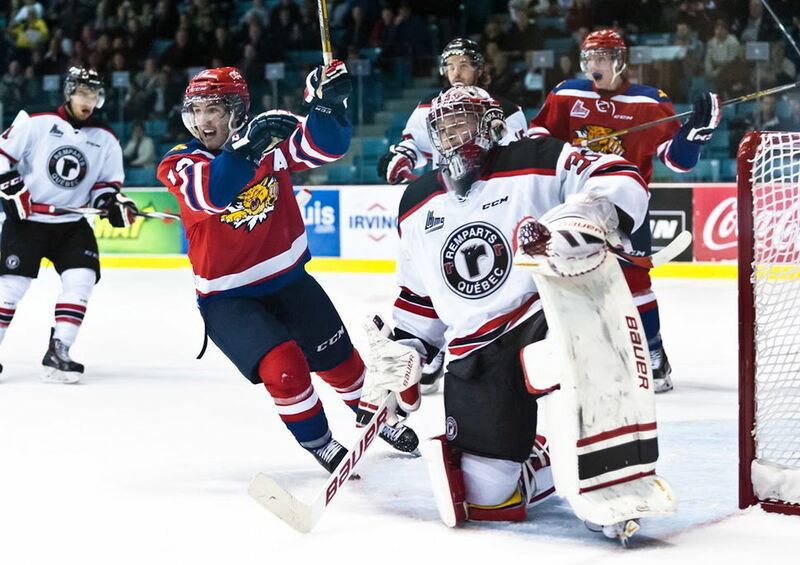 What I Predicted: The rebuilding process continues for the 2012 Memorial Cup champions, but they’ll probably remain near the bottom of the QMJHL standings. What Actually Happened: Well I was dead wrong. The young players on the team ended up developing big-time, with Anthony Beauvillier leading the way. If it wasn’t for a Halifax team that had a couple of overtime winners, they probably would be in the second round right now. What Lies Ahead: The defence and the goaltending might not be as strong, but the forwards once again look really strong. Like Sherbrooke, this is a team that should get a series win next spring. What I Predicted: With so many question marks on the team, and with the overagers probably going to be sold off like many of them were during the off-season, it might be a rough year for this squad. What Actually Happened: If you had this team finishing in third and winning their division you are clearly lying. Now they did have two 100-point overagers, but it still amazes me that the Armada was one of the top teams in the league all season. It also surprised me that Gatineau knocked them out early, but since I didn’t see any of the series it’s hard for me to say if they got outplayed or not. What Lies Ahead: The two overage forwards (Nikita Jevpalovs and Danick Martel) are leaving as is overage defender Daniel Walcott. Once again, there seems to be a lot of question marks looking at this Armada roster and I’m expecting a huge drop-off. I’m fully expecting to be wrong on that prediction come next year once again. 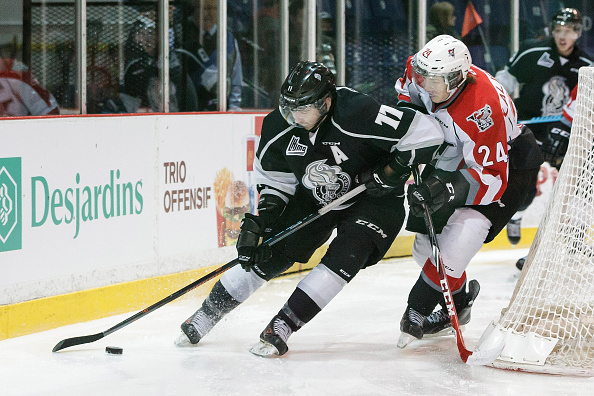 Despite winning three straight Memorial Cup titles from 2011-2013, the QMJHL has often been called the weak sister of the three major junior hockey leagues in this country. Whether or not that’s the case can be debated for months, but what they have over the WHL and the OHL at the moment is that the Q was home to the best overall first round series in the CHL this year. When it came to memorable encounters, you had three of them. 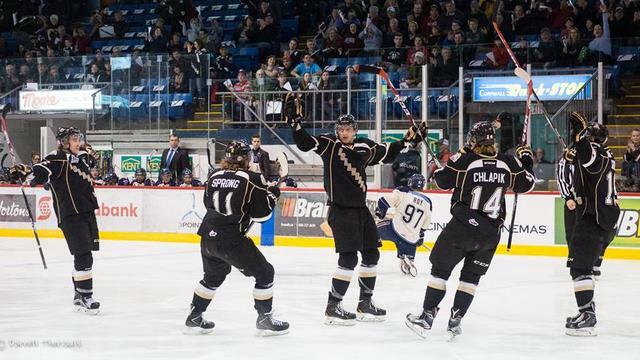 There was Gatineau’s stunning upset of the third ranked Armada, a wild Quebec and Cape Breton series that went seven games, and Nikolaj Ehlers’ overtime winner in his Game 7 return to help Halifax upset Shawinigan. 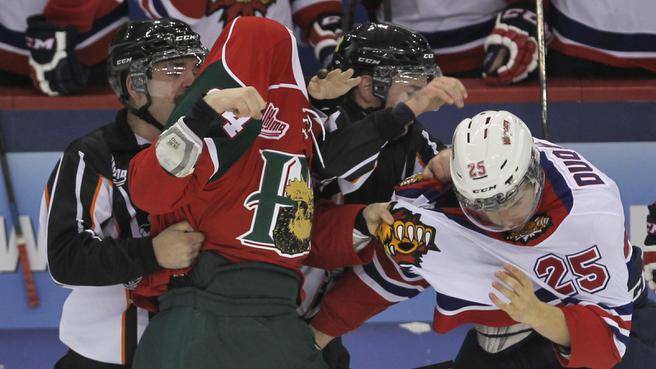 Plus, the Val-d’Or and Rouyn-Noranda series was pretty entertaining, as was the Charlottetown and Sherbrooke affair. If you look at the other two leagues, there wasn’t really much for them to counter with. 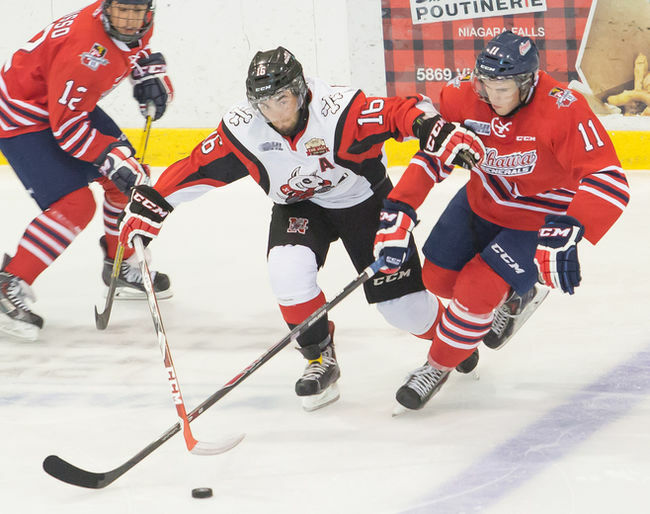 In the OHL, Ottawa and Niagara wasn’t bad until the IceDogs pulled away, and Kitchener tried to make things interesting against London before being moved aside in six, but that didn’t get the pulse excited. To be fair though, the WHL was probably the closest, as they did have a seven-game series between Calgary and Kootenay, an Everett and Spokane encounter that finished in triple overtime in Game 6, a great battle between Portland and Seattle and a Medicine Hat and Red Deer series that was much tighter than their five games would indicate. Will this trend continue? I think it’s possible, especially since the conference semi-finals and the league finals went seven games in 2014. Hey maybe that 1 through 16 structure is the way to go. I’m looking at you NHL. 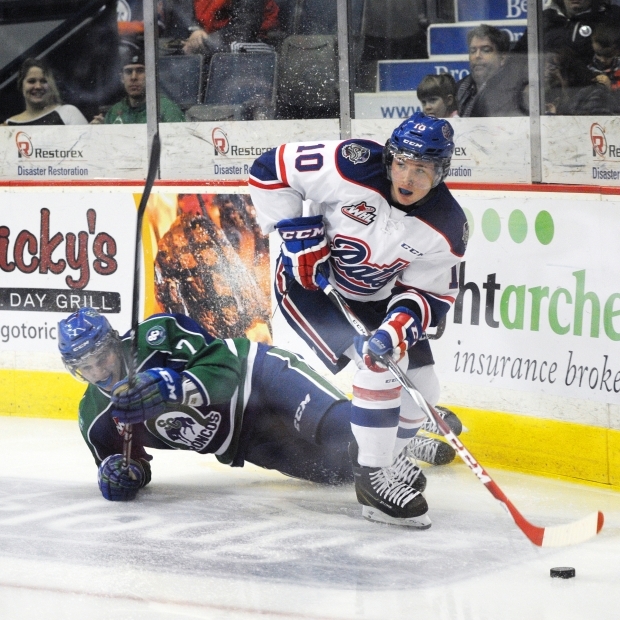 As ever, we wrap things up in the WHL, where there was a severe lack of upsets in the first round. What I Predicted: The Americans have a pretty young lineup that may not come to full fruition until next season, but they do have a top-notch goalie in Eric Comrie on their side. If the youngsters hit the ground running, this might be a dark horse for a league championship. What Actually Happened: Excluding Parker Wotherspoon and Evan Sarthou, the Americans young core didn’t really come out on fire. Injuries to the roster didn’t help matters as well as they ended up having to deal with Kelowna as the second wild card in the West. 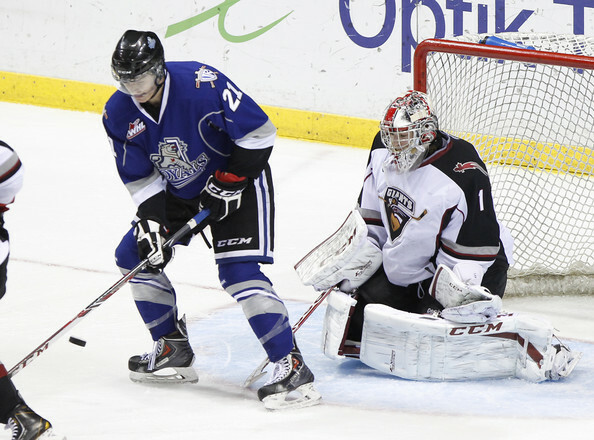 What Lies Ahead: Well I was way off on the Americans being a dark horse title threat, but almost everyone is back next year and Tri-City may be a contender to win their division. Losing Comrie to the pro ranks will sting, but Sarthou should transition nicely into a starting role in goal. What I Predicted: It might be a little bit before they are a legit contender, but the Cougars should be right in the mix to make it into the playoffs this season with a fairly exciting forward core. What Actually Happened: For the first time since 2011 the Cougars made it back to the playoffs thanks to a stellar second half performance. They probably deserved a slightly better fate than a five-game series loss to Victoria, but it was still a great season. What Lies Ahead: The nice buzz building around Prince George should continue next year as almost all of their top contributors will be back. 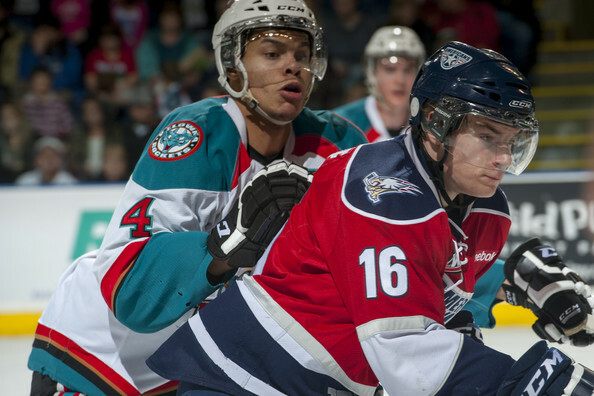 Depending on how Kelowna and Victoria look next year, a division title isn’t that farfetched. 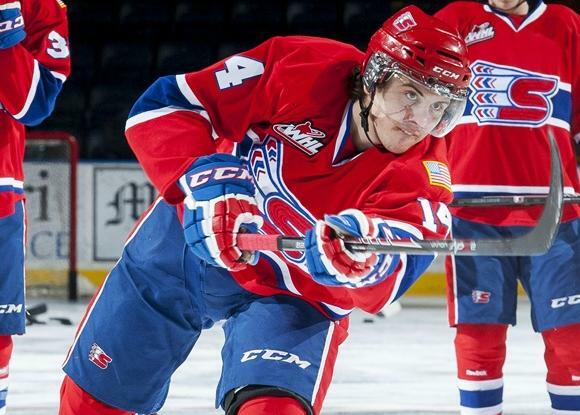 What I Predicted: The Chiefs have some exciting players in the pipeline but this has all the makings of a long season in Spokane. What Actually Happened: Despiite losing Mike Aviani, Reid Gow and Mitch Holmberg, the Chiefs were able to still have a solid campaign. They weren’t flashy but they got the job done and they almost pulled off an upset against Everett. 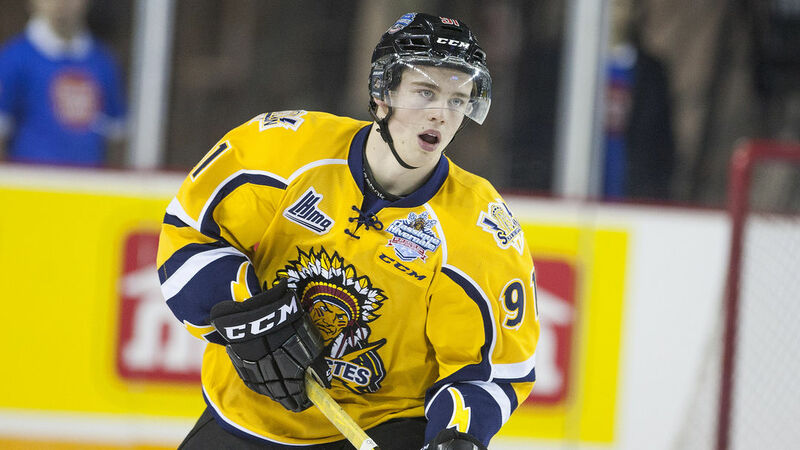 What Lies Ahead: The Chiefs will have two young forwards to build around in Kailer Yamamoto and incoming rookie Jaret Anderson-Dolan that will make them a threat in the future. When it comes to next season, however, they will probably in the middle of the road. What I Predicted: They might not have the sexiness of the Wheat Kings, but the Broncos are a team that shouldn’t be taken lightly. What Actually Happened: I expected the Broncos to be a lot better than they actually were but they were rather underwhelming. A lengthy late-season losing skid almost saw them miss the playoffs entirely, which sort of underlined the underwhelming campaign for the squad. What Lies Ahead: This is going to be a team that can go one of two ways depending on how the season starts. If they are in the top of the conference standings, I expect them to stand pat. But if the Broncos are struggling, goalie Landon Bow and forward Jake DeBrusk will probably be sold off to title contenders. What I Predicted: If Curtis Lazar doesn’t come back, then their might be a drop-off and Tristan Jarry may be traded away for future building blocks, though I think the Oil Kings should still make the playoffs if that happens. What Actually Happened: Lazar ended up staying in Ottawa but Jarry stuck around and the Oil Kings returned to the playoffs. Their three-year run to the league finals would come to a quick hand however against Brandon. 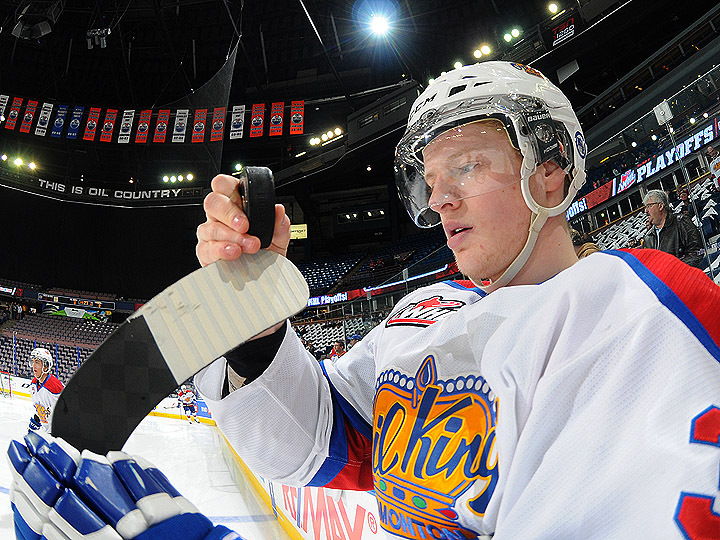 What Lies Ahead: Aaron Irving, Dysin Mayo and Brett Pollock will all be back and that might boost the Oil Kings into a top three spot in their division. The overall depth isn’t the greatest, but Edmonton always seems to pluck out strong players out of nowhere. What I Predicted: I expect Jaedon Descheneau will be traded if Sam Reinhart doesn’t come back, which will probably prevent the Ice from making the playoffs. What Actually Happened: Reinhart ended up coming back from the Buffalo Sabres and was probably the difference for the Ice to return to the playoffs. 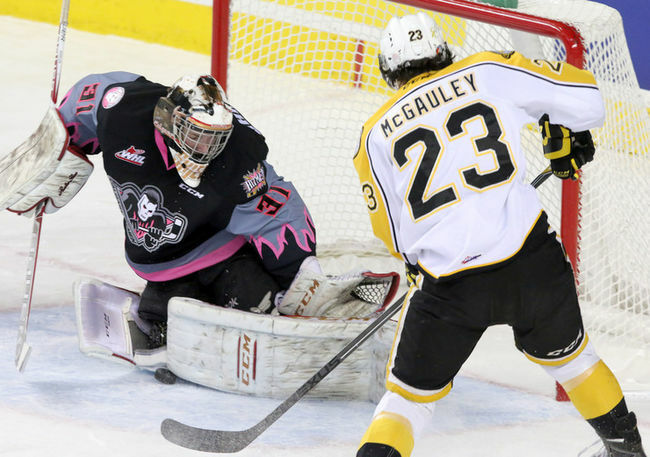 They almost pulled off a second straight upset of the Calgary Hitmen in round one, until Connor Rankin scored a first period hat-trick in Game 7. What Lies Ahead: Reinhart will be in Buffalo full-time while Descheneau will more than likely be in the St. Louis Blues system. The signs are there for a full-fledged rebuild to begin with the Ice. 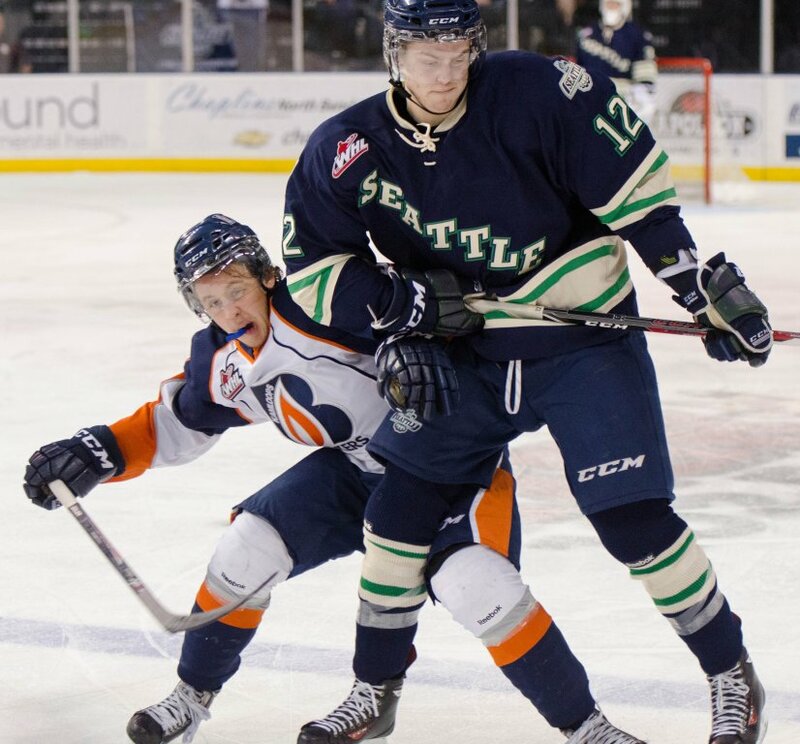 What I Predicted: With forwards such as Ryan Gropp and Matthew Barzal, and a top-notch defender in Shea Theodore, the T-Birds will be fun to watch. I’m not quite convinced on the goaltending though, and that may prove to be the one issue the prevents this team from hosting a playoff series. What Actually Happened: Tarun Kozun proved me wrong big time in goal as he ended up being one of the best netminders in the league. Injuries and a white-hot Portland squad ended up being what cost Seattle a chance at home-ice, but they gave the Winterhawks all that they could handle in their first round series. What Lies Ahead: Like the other three teams in the US Division that I talked about earlier, this seems like a middle of the road team. Barzal and Gropp will be back, but losing Theodore and Kozun may be too much to overcome. What I Predicted: I’m quite convinced that the Rebels will be the host city for the Memorial Cup in 2016 so this will be a year that will be used to help build Red Deer into being a legit title threat. What Actually Happened: Exactly that. The Rebels will be hosing the Memorial Cup next year and we’re right in the mix to win the Central Division this season. The five game loss to the Tigers wasn’t a real indiction of how close the series was, as it could have gone either way. 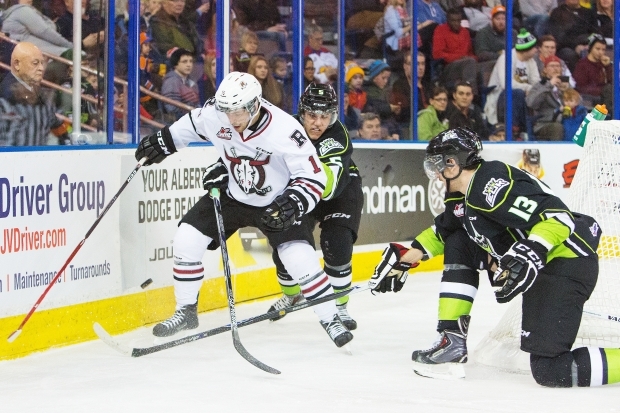 What Lies Ahead: The big guns (Connor Bleackley and Haydn Fleury) will both be back and that will be huge. The overall depth isn’t super scary yet for a Memorial Cup host, but I expect that to change over the course of the summer. I got to pay a visit to the Medicine Hat Arena for Game 5 of the Medicine Hat/Red Deer series last Saturday, and pretty much fell in love with the rink, which the Tigers will be leaving for a new facility next year. While that new rink is needed, I was very upset that the Tigers will be departing the 4,006 seat arena after going to see a game there, as it’s pretty much what a junior hockey rink should be like. So I began to think about how many of these true junior hockey rinks are left and not just being shared with NHL teams (such as the Scotiabank Saddledome and Rexall Place), have a capacity over 10,000 (sorry FirstOntario Centre, Colisee Pepsi, Scotiabank Centre, SaskTel Centre, Pacific Coliseum and Veterans Memorial Coliseum) or one that’s been open later than 1990. Here’s what I came up with. So as you can see, there’s still quite a few of the older barns left. If you’re a junior hockey fan like I am, I highly recommend seeing these rinks before they are replaced. Well that’s it for now. Between these three leagues, the Frozen Four and the NHL playoffs, this should be an epic couple of weeks if you’re a hockey fan.